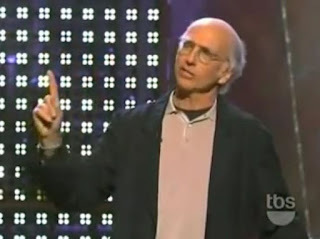 We don't usually think of Larry David as a stand-up comedian. He's mostly known as the co-creator of the Seinfeld show and creator and performer in his Curb Your Enthusiasm HBO comedy series. But before these successes he made the rounds of stand-up comedy clubs. In 1989 David teamed up with comedian Jerry Seinfeld to create a pilot for NBC called The Seinfeld Chronicles, which became the basis for Seinfeld, one of the most successful shows in history, reaching the top of TV Guide's list of the 50 greatest TV shows of all time. Entertainment Weekly ranked it the third-best TV show of all time. David made occasional uncredited appearances on the show, playing such roles as Frank Costanza's cape-wearing lawyer and the voice of George Steinbrenner. He was also the primary inspiration for the show's character George Costanza. David left Seinfeld on friendly terms after the seventh season but returned to write the series finale in 1998, two years later. He also continued to provide the voice for the Steinbrenner character. From time to time he returned to do a stand-up routine. 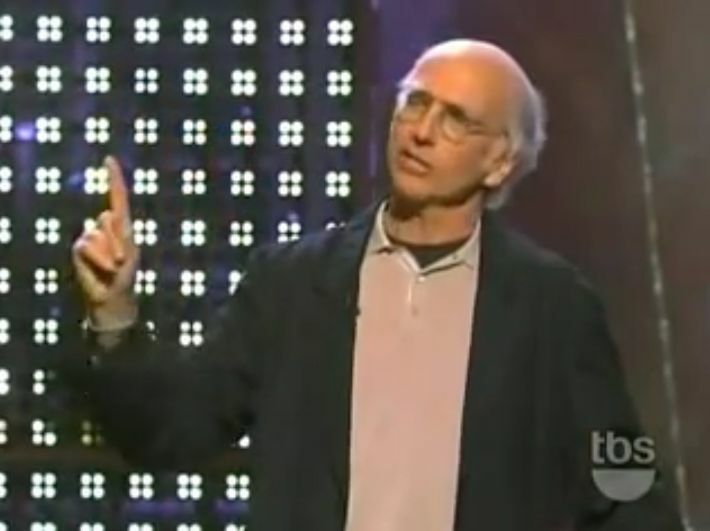 In this clip from Caesar's Palace in Las Vegas in 2005 he sets out to explain his conversion to environmentalism, but brings down the house with his hilarious observations and his description of his lifelong love affair with tuna fish sandwiches.